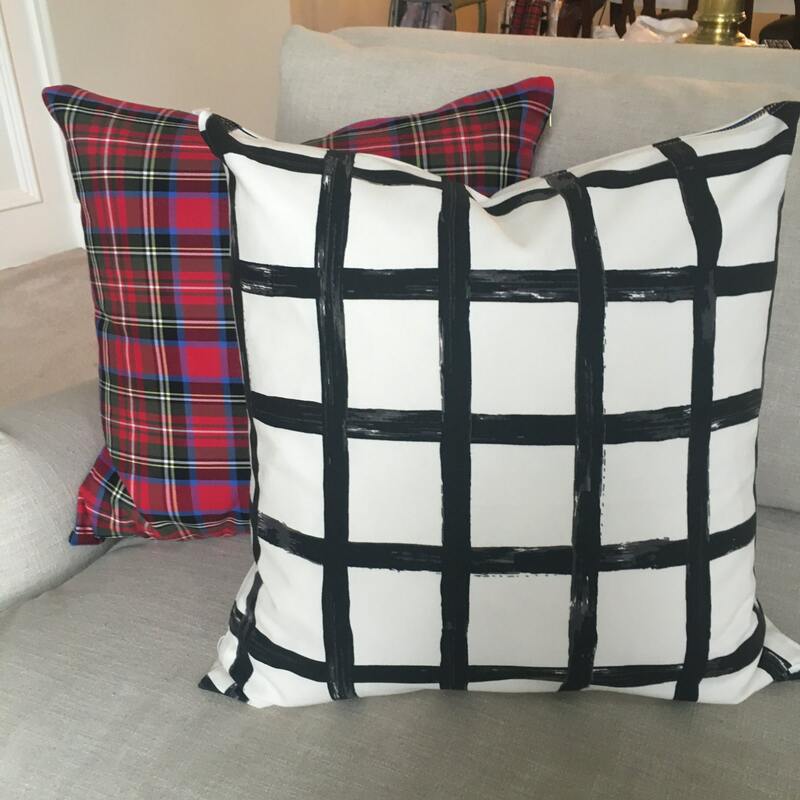 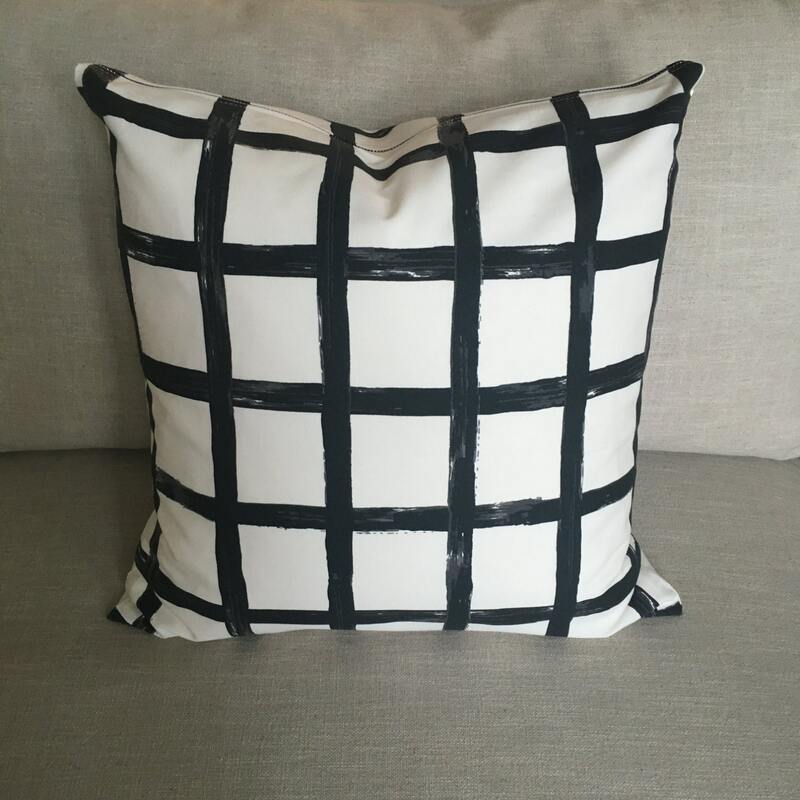 A crisp modern fabric, this Windowpane Plaid Pillow Cover is a striking addition to any room. 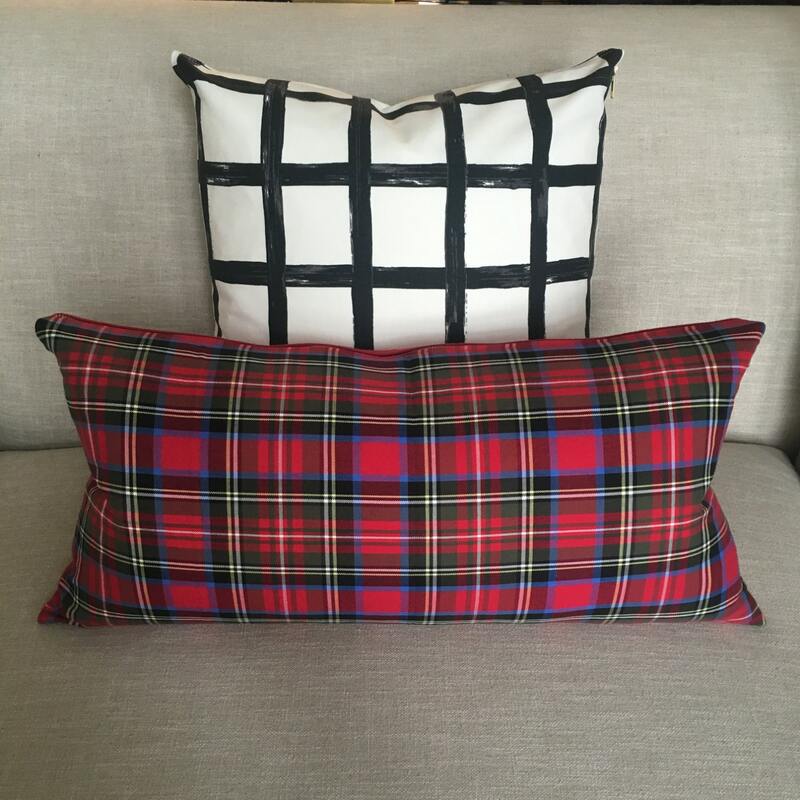 Perfect for your couch all year round, the pattern is basic and dramatic all at once. 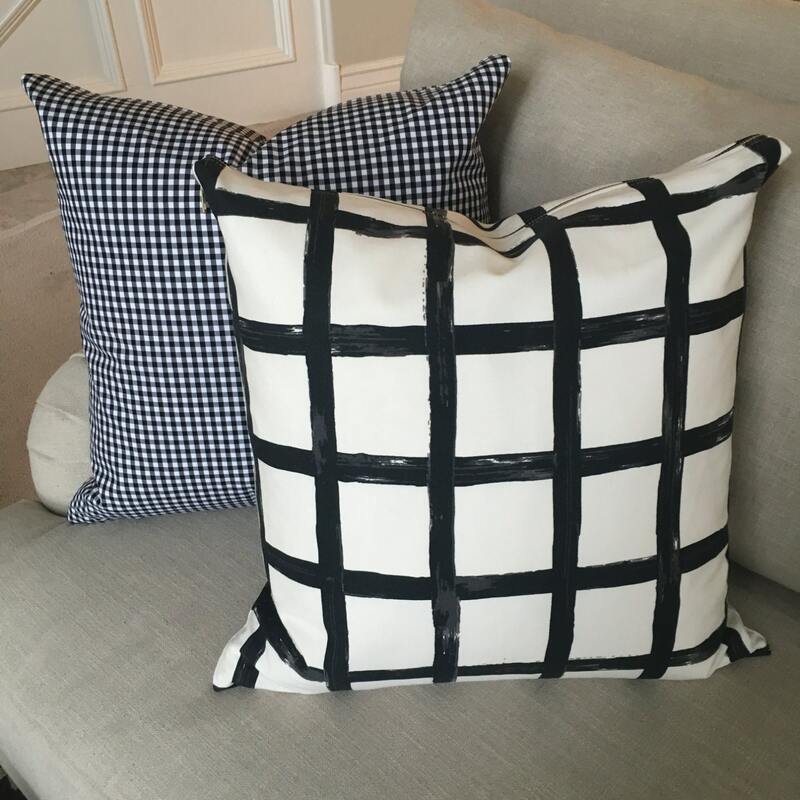 The perfect combination of masculine and feminine, the off white overall tone is accentuated by a black print with subtle gray accents. 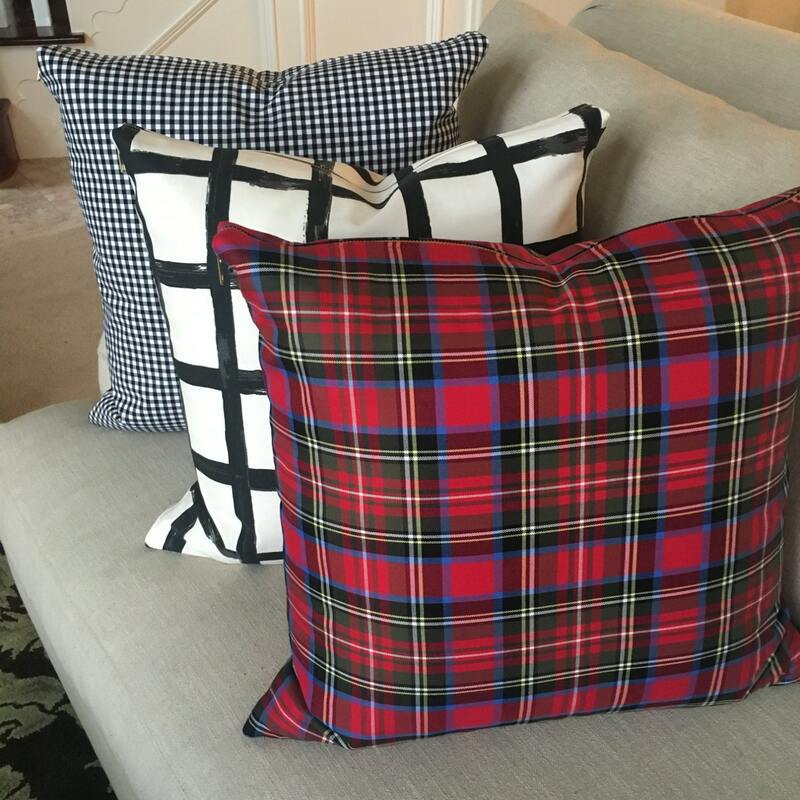 - Available sizes: 20"x20" (pictured) and 26"x26"